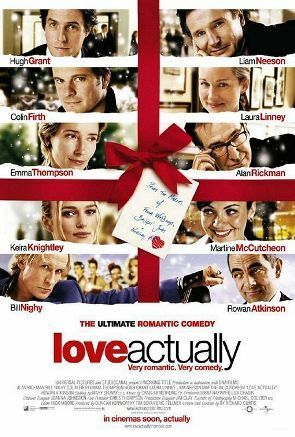 Love Actually is a 2003 romantic comedy film written and directed by Richard Curtis. The screenplay delves into different aspects of love as shown through stories involving a wide variety of individuals, many of whom are linked as their tales progress. The ensemble cast is composed of predominantly British actors. The film begins five weeks before Christmas and is played out during a week-by-week countdown until the holiday, with an epilogue that takes place one month later.